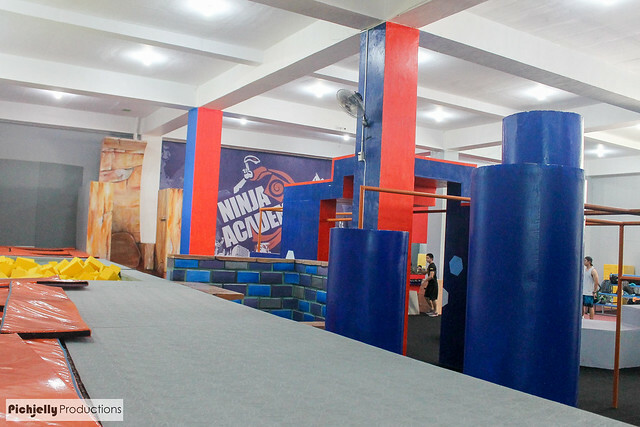 Release your inner ninja at the Ninja Academy- Now in Las Pinas! 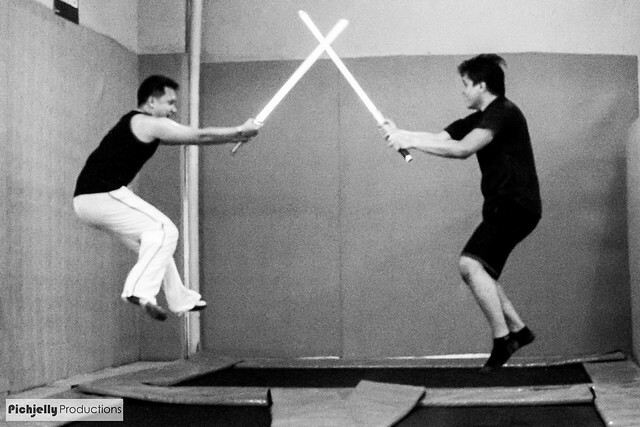 Ever wanted to try out the stunts that you see in action movies? The Parkour moves that leave your mouth hanging and your eyes in wonder? Or have you wished a million times, to your dismay, to be bitten by a radioactive spider just to try out the stunts that Peter Parker can do with his web slinging and Free Running? Fret no more! 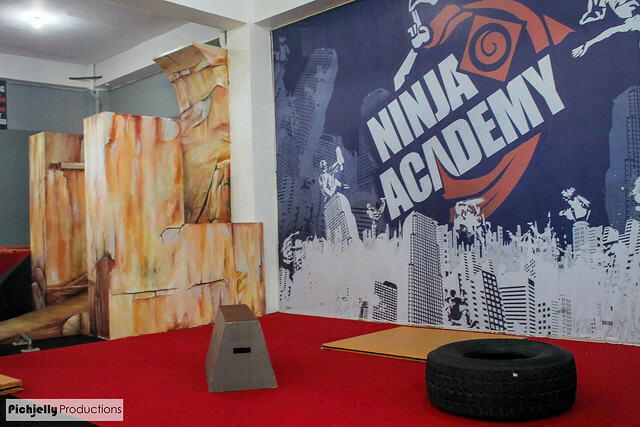 Ninja Academy is a gym and obstacle course of sorts. I got the chance to try out for myself what I've been reading and seeing in movies via this invite, and really, I didn't hesitate! I am always into pushing my body's limits, but the height matter was another issue. hahaha! 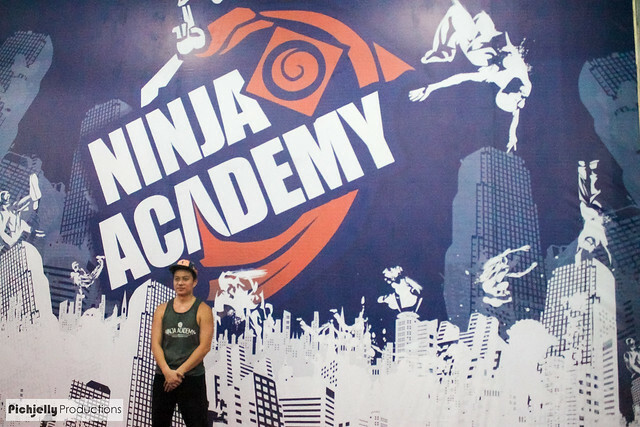 Robby Apelo is the owner of said Academy, and he started Parkour since he was 27 years old. 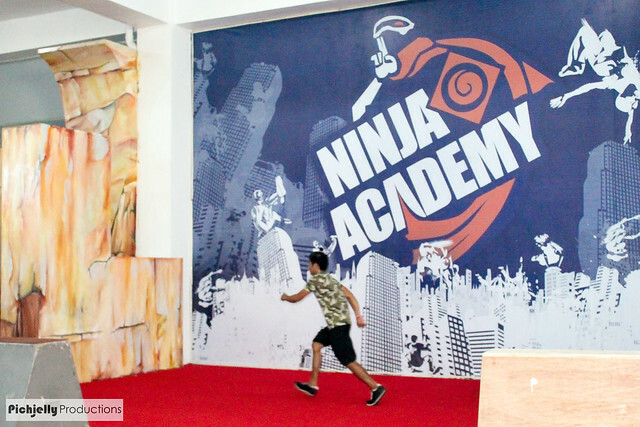 Fast forward to 5 years later and now an expert on the craft, he blessed us newbies by opening up Ninja Academy, first in Pasig and now here in the south Manila- Las Pinas! It's a perfect way to get that TOTAL BODY WORKOUT that you've been needing. We started off the session with some stretching and coordination exercises like the spiderman crawl and Monkey errrr... Ah, I forgot that one, but we looked like monkeys trying to cross side a to side b. hahaha! Then he let us familliarize ourselves with the day's obstacle. 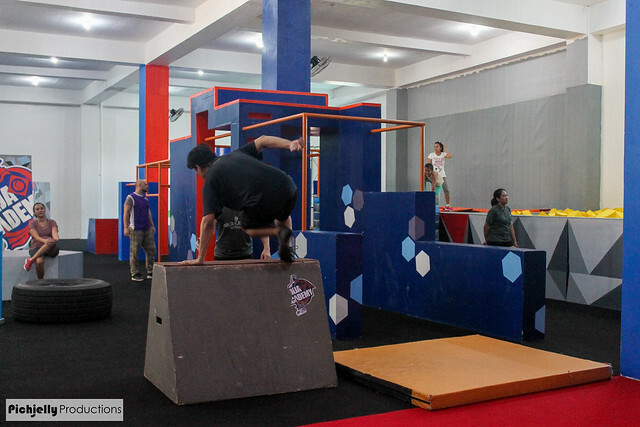 (as the whole gym can be restructured to create new obstacles everyday for variety! ) TRANSLATION: We went for a jump and walk in tall walls and stuff. Then he taught us some of the basic moves like the Side Vault and the Safety Vault, how to jump properly without loosing balance and staying on your track and a whole lot more. Of course we also got to try them all. He also showed us what you can achieve with practice, and having a series of flows that help your body be more coordinated once you've practiced a lot. Personally, I like this form of exercise a lot more because I can't really take track of time, because I'm having way too much fun. We also got to try out and have some 'down time' at the trampoline and the foam pool. This is where they usually practice backflips and other stunts, and at first they try it out on the foam pool so that the landing is way softer, especially if you're just trying it out. And if you want to try it on a higher jump scale, it's what the trampoline is for. It's also awesome for sword fights let me tells ye! Or if your kids are into running, climbing and jumping (what kid isn't anyway?! ), you can sign them up as well for classes! Yeah! 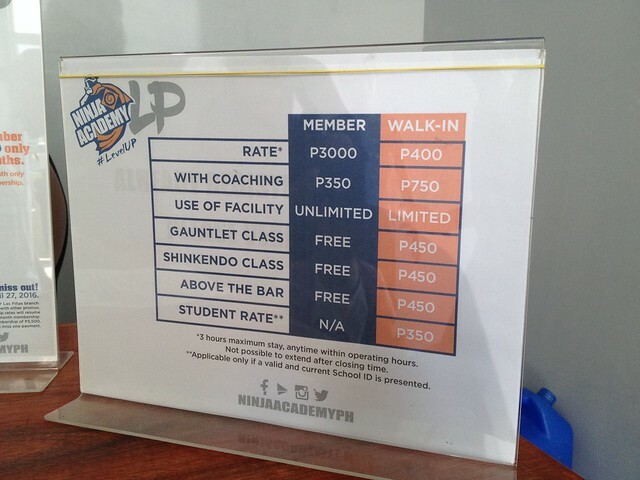 Ninja Academy also has a Pasig branch for those coming anywhere but the south of Metro Manila. 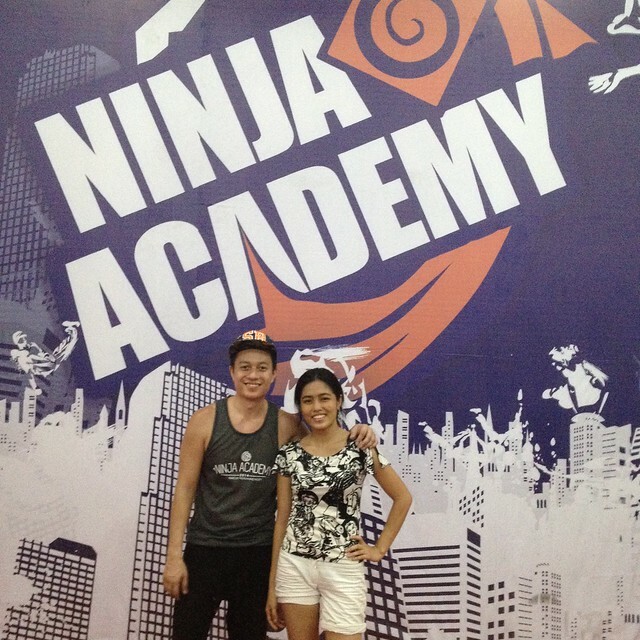 For more information about Ninja Academy, visit their website ninjaacademy.ph. You may also follow their social media accounts on Facebook, Instagram, and Twitter. This is so much fun. The jumping picture shows a the true ninja in you. It's so good to stay young, no matter how grown up we are. Jump, feel free, laugh and enjoy. I love this game! This is too cool for an old mAma like me but my boys would surely love the nina moves. Hahaha. Good thing they hava a pasig branch. I will inquire there. Thanks. 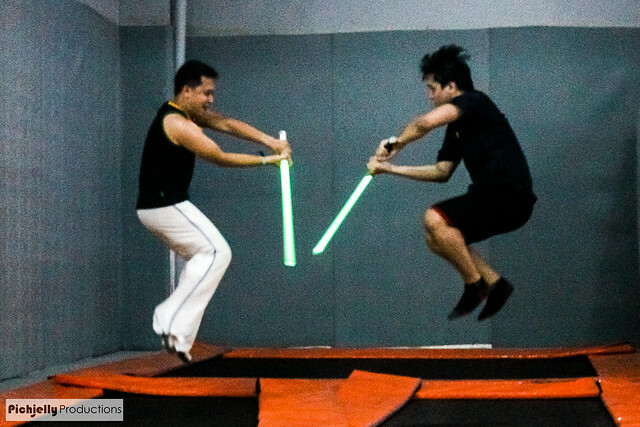 They keep coming up with new ideas and yeah, this is a nice concept and caters to the ninja inside us. A chance to have physical activities while unleashing the monster inside. LOL! That is so much fun! 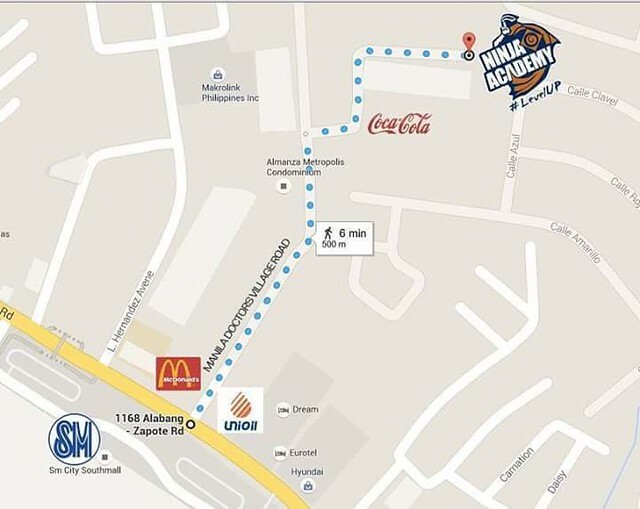 I hope they open up a Quezon City branch too and then I get to be invited to try it too to just get a feel. If I were to do this as a daily exercise routine, I would do the gauntlet class. Who knows I may find this useful if I need to run from bad guys? Hahaha! Aside from that, I get to shed off my excess pounds from eating too much with my co-blogger. I need this in my life! Truly! Thank you for sharing your experience. This is awesome! 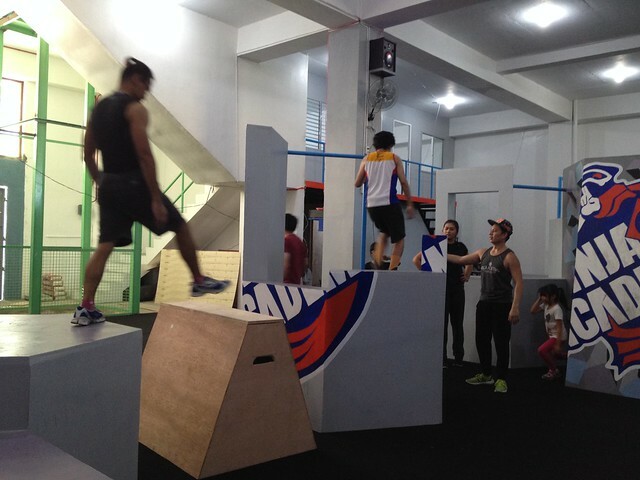 I've seen some photos in FB from friends who did parkour classes here in Pasig area. Looks like business is growing and they opened a branch in Las Pinas. I do love challenges too but I think I'll stick to my badminton exercises for now. This sure is a fun way to get fit, compare to thread mill or jogging. One thing I liked about the concept is promoting coordination in your body movement. This is good for clumsy people like me, haha! Do they teach Rasengan? XD It's a safer way to practice Parkour before doing it outside.